Smartkarma Discovery is a unique, dynamic and data-driven tool to help our Insight Providers discover what Entities are of most interest to users, but have the least amount of Insights published. 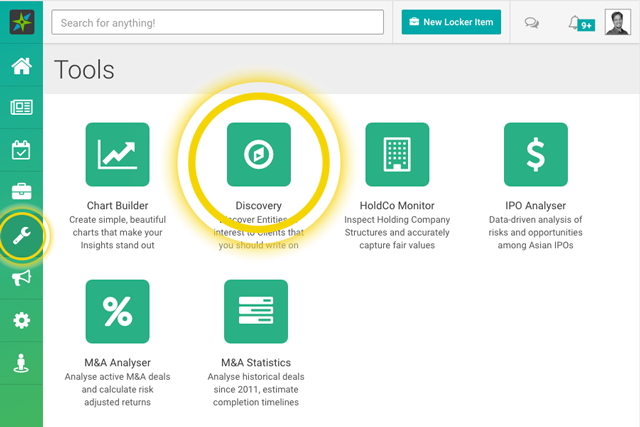 Insight Providers can access Discovery in the Tools page. In this example, the stock at the top is the "most undercovered/under-published stock relative to size, platform search, and Watchlist interest.